Is Education Worth It? In Short…Yes. College is a really exciting time of life. It’s a chance to start a new adventure that will open a variety of doors in the future. But with rising tuition prices, a lot of students and their parents alike are questioning if a college education is actually the right path. No one can make the right decision for you, but it’s a good idea to do your own research and gather as much information as you can from both sides of the argument. From our point of view, we think college is absolutely worth it. The opportunities it can provide are incredible, and there’s a lot of pros to spending four or more years studying a particular topic in the context of a college or university. We’ve put together a list of things we think it’s important to think of when you’re considering college as the next step in your education. A college degree can make all the difference depending on the type of job you want to work someday. Many hiring managers won’t even give a resume a second glance if they notice that there is no college degree listed, and many hiring managers list that as a must-have qualification in the job advertisement in the first place. A college education shows that you are not only educated according to the standards and requirements of an official institution, but it shows that you have the perseverance to stick with the tough parts of school: late-night studying, fifteen-page papers, big projects, and persisting with a goal over a long period of time. Having a college education will give you an edge on other applicants, and if you continue your education beyond a four-year Bachelor’s degree, you’ll open even more doors to pursue higher-level jobs and positions. College is what you make of it, and if you’re hoping to grow your community and meet new people, you’ll find that you leave college with a lot more than wonderful friendships. Going to school at a college or university will help you meet people who are both like-minded and completely different from you. You’ll get to connect with people in your classes, many of who are pursuing the same major and career path as you, and you’ll also get to learn from students, mentors, and professors who are older than you. Once you graduate from college, you’ll be able to stay connected to many of the people you met there if you put your mind to it. You can stay in touch through email or social media, and you’ll see that having a network of people you can depend on will really pay off both emotionally and professionally in the long run. Income certainly isn’t everything, but money is an important resource. Regardless of your plans for the future, money is something you need to have for daily life each and every day. Having the ability to get a job with a higher earning potential can do a lot to ease the burden of living paycheck to paycheck and keeping an extremely strict budget. 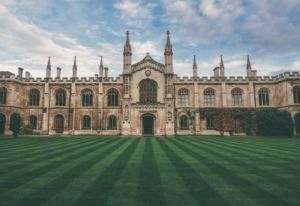 If you are hoping to have the option to shift your lifestyle as time goes on, you may want to consider a college degree simply because of the monetary doors and options it will make available to you. There’s no doubt about it: college is hard work. It can take a lot of determination and tenacity to make it through four or more years of pop quizzes, finals weeks, tests, homework, and group projects. As intense as that sounds, you’ll also be going through all of this with roommates and friends, along with professors who (hopefully) care a lot about your goals to learn and pass their classes. Working through all these tough parts of school can really refine and strengthen you as a person, and that’s something that hiring managers will see as a plus. You’ll also take these characteristics with you after you graduate, which can serve you well in a variety of different areas of your life.